How does it work? Bespokecity aims to provide an insider’s guide to the city. Where can you go that’s not full of tourists and plays the music you want? 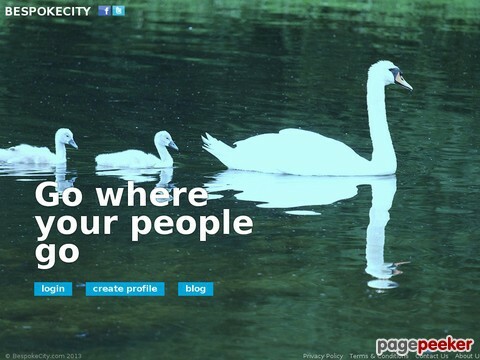 All you have to do is go to the search page of bespokecity.com and filter your search according to categories such as age or musical taste and this will tell you where like minded Londoners party. 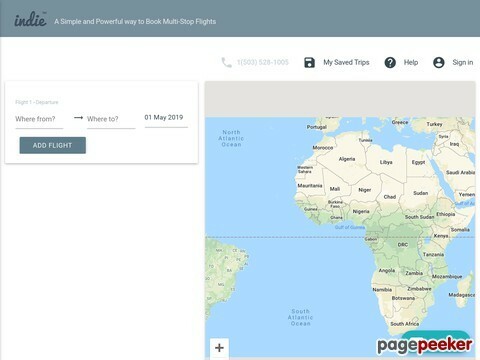 This website is created to help travelers plan their vacations. It will also help you get genuine product reviews, that I really like and it could be beneficial to other travelers. Destinalo.com works with small touristic businesses, run by its owners, which are special in terms of the cultural and human experience they offer. Fathom is the travel website reinvented — through inspiring stories, practical advice, and useful tools and products. Fathom is where world-curious travelers indulge their passion for travel — whether they're getting on a plane tomorrow or staying at their laptop. Take our fun online quiz We'll instantly provide you with a tailored list of the best cities and small towns that fit YOU. Compare the perfect hometowns and undiscovered havens that match your interests. TrekFriend is simplifying the way travelers plan and travel. Hello, we are the Guidewriters. At Hopper, we are working hard to transform this process using big data and sophisticated algorithms. Our mission is to bring the joy and inspiration back to travel planning. "the travel guide that your friends would craft for you!" LetUsGoTo is a travel planner who provides much more than just travel packages and itinerary but plan to give you an experience of a lifetime.